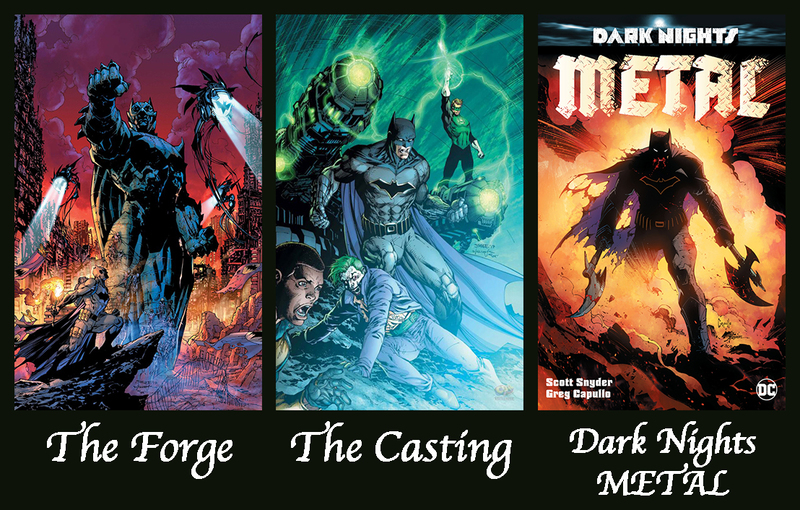 Home batman dark days dark nights dark nights metal DCcomics metal new the casting the forge Dark Days and Dark Nights - DCComics Summer Blockbuster Event! 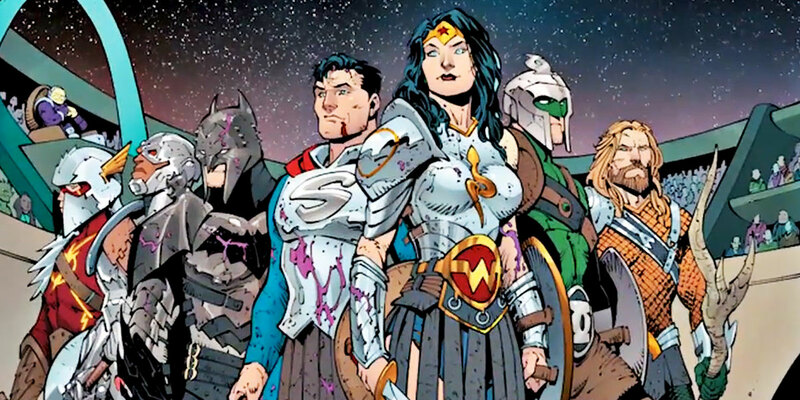 Next week starts the tour leading up to DCComics Summer Blockbuster Hit, Dark Nights: Metal! 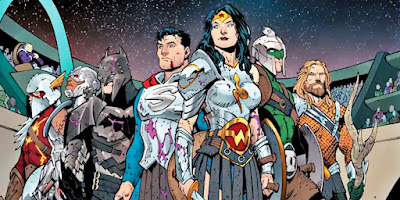 Super Star writer and artist, Scott Snyder and Greg Capullo, unite to bring the six issue story to life but first we need the trailer, the prequel to this medieval marvel! I mean, Come On! Check out those Suits! Leading us into Dark Nights is, of course, Dark Days: The Forge and The Casting. 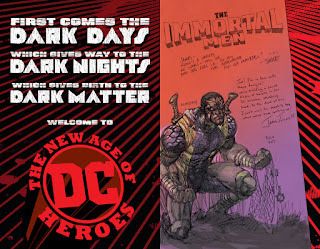 Dark Days: The Forge hits your local comic shops in 6 days on June 14th! Dark Nights: METAL #1 is due in stores on August 16th! The price tag on the epic tale will be $4.99 per issue. DCComics and Entertainment has pulled out all the stops in the last couple of years. 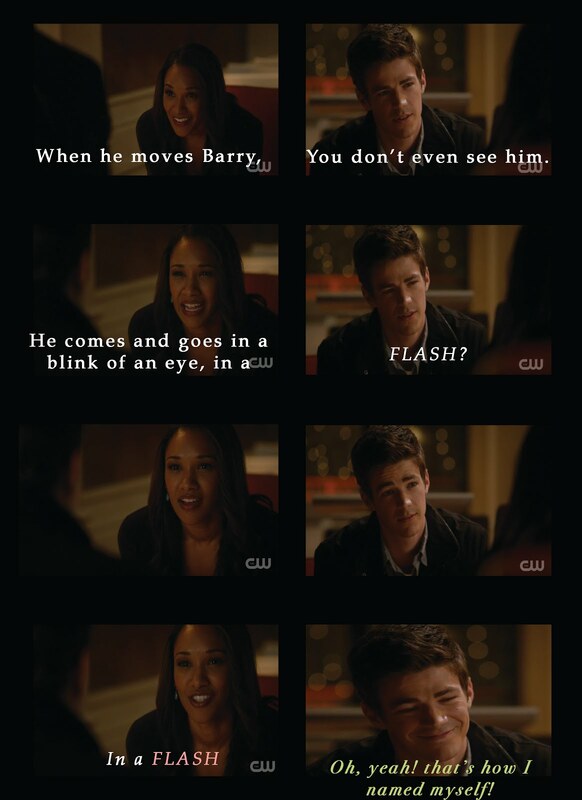 DCTV on the CW is stronger than ever, adding to the line up sometime next year with Black Lightning. Production on the Live-Action Titans show starts in September! A video streaming website is in the works for all things DC. The Cinematic Universe has put the petal to the metal producing at least two blockbuster films a year, and major success with the recent Wonder Woman movie! The comic book industry is no different with last year Rebirth Event and the stories that follow! The Button, Lazarus Contract, Metal, and Doomsday Clock... We can only expect more great things from DC! We are the best bet for Window AC online shopping. With us you can buy Window AC online at leading offer prices.